Hagar Day 2: Why Should I? When studying Abraham, we encounter a complex relationship between the patriarch, his wife, and a legal concubine. Bear in mind that at this time there was no written Law or Ten Commandments denouncing polygamy....When God gave Moses the law, he forbade adultery. Adultery is defined as any sexual relationship outside marriage. Trials have a way of bringing out either the best or the worst in us. That's because they have the uncanny ability to expose our hearts. ...What springs out of your mouth when things don't go your way? 1. Compare Sarah's response to unexpected consequences with those of Adam and Eve. When things didn't go the way she had wished, she started complaining instead of looking at what she'd done wrong. When Adam and Eve did wrong, they hid instead of owning up. Both began blaming others. 2.a. How did Sarah bring God into the equation? He told Abraham that she wished for the Lord to judge between he and Sarah. b. Have you ever done the same thing? If so, when? I can't think of a specific time, though one might come to mind later! 3. Explain how Abraham responded to the conflict. He pretty much wiped his hands of it and said for Sarah to deal with it. In that way, he also judged Hagar by refusing to help her. 4. What was the outcome of Abraham's approach? Sarah then treated Hagar abusively, and Hagar ran away. 5.a. Who did Hagar encounter as she "fled"? An angel of the Lord approached Hagar. The angel asked her why she was there. Hagar explained why she was there, and the angel told her to go back and to submit to Sarah. 6. Describe the internal conflict that Hagar may have felt in response to the Lord's command. Hagar didn't want to be mistreated by Sarah, but she also knew she needed to do what the angel told her to do. She didn't want to submit since she was bearing Abraham's child, but again, that was what she was told to do. 7. Sin caused Sarah to behave irrationally, from an untamed tongue to an uncontrolled temper. Place a check in the boxes below to note the ways you have behaved irrationally. Then ask God to check your heart and cleanse you from these sins. 8. Hagar bore the brunt of Sarah's wrath. Have you ever come out on the short end of the stick? If so, journal about a situation where you were blamed for something you did not do. How did it make you feel, and what did you do about it? I don't know that this is exactly the same thing, but at work I once felt as though my 'team' was being punished for actually stating what we desired during the school day. It was very frustrating, and I agonized over how to get my point across. I only wanted the best for the children, but our suggestions weren't always taken as such. Over time and continued dedication, I feel like we all overcame the situation, though it wasn't always easy. 9. Hagar received a difficult request--return to a scornful woman and submit. Do you know somebody in a painful place? Rewrite the following verse into a prayer of comfort on that person's behalf. You don't have to be alone in your hurt! Comfort is yours. Joy is an option. And it's all been made possible by your Savior. He went without comfort so that you might have it. He postponed joy so that you might share in it. He willingly chose isolation so that you might never be alone in your hurt and sorrow. Hagar--Where Do I Fit In? Day 1: What Were You Thinking? God things come to those who wait: "Those who wait on the Lord shall renew their strength; they shall mount up with wings like eagles, they shall run and not be weary, they shall walk and not faint" (Isaiah 40:31). The scripture basis for this lesson is Genesis 16:1-4. 1. "Now" what was happening in the lives of Abraham and Sarah? They had waited for 10 more years for God to fulfill His promise to give them a son. 2. Describe the new character introduced in our study. Hagar was Sarah's maidservant. She was from a foreign land, and was not given many rights in their society. 3. Who did Sarah blame for her infertility? Do you think she was justified? Share a Scripture to support your theory. She blamed God for her infertility. I'm sure she was frustrated, but justified? I don't think so! I think a great scripture to support my theory is one presented preceding this lesson: Isaiah 40:31. 4. What do you learn about Sarah from the solution she offered? She wasn't willing to wait on the Lord's timing and plan. She was willing to do anything, including having her husband sleep with another woman, to get what she wanted and felt she deserved. She did not trust the Lord to keep His promises. 5.a. How did Abraham respond to this plan? He was all for it! b. What insight into him does this give you? He was human, like any man offered a woman to take to bed! LOL He, too, wasn't willing to wait and let God do what God said He would do. 6. Recount the outcome of this plan and how it affected Hagar. She did become pregnant, and lost even more in doing so. She was no longer a maidservant, and was cast out of relating to Sarah and despised by her. She gained a son, but lost respect and friendship. 7. Hagar had no choice in becoming a maidservant. As believers, Christ asks us to become servants by choice. Jesus said,"If anyone desires to be first, he shall be last of all and servant of all" (Mark 9:35). a. List some ares where you come in first and some in which you are last. I'm last in anything that involves sports! I'm first in singing, maybe...and ability to make friends. b. Now rewrite Mark 9:35 into a personal prayer of humility. Dear Lord, if I am to be first in your eyes, then I must place myself as last in everything else. If I place others before me and you at the top of my list, then I will be given Your glory in Heaven! 8. Sarah wanted the right thing but went about it the wrong way. Make a list of things you've done or witnessed that were done with good intentions but produced bad results. Desire people be treated equally----overstepped my bounds verbally, hurt feelings. 9. When Hagar got what Sarah wanted, she felt she had the upper hand. Later this got Hagar into a lot of trouble. Its easy to put people down when things are going our way. Journal about a time when this was true of you. I can't honestly think of a time right now...I'll come back and write about this when one comes to mind! Before you can cure the diseases of the body, you must cure the diseases of the soul--greed, ignorance, prejudice, and intolerance. One of the greatest gifts we can give is to help someone become a better person. Have you ever noticed that if you continue in sin, God will force you to face it until you repent? How wonderful to serve a God who forgives and chooses to forget. Today's scripture reading: Genesis 20:14-18. 1. In what ways did Abimelech compensate Abraham for taking Sarah? He sent with her sheep and cattle and servants, as well as 1,000 pieces of silver. He gave her his word that she was vindicated. 2. What was the silver intended to provide for Sarah? 3. How did she feel instead? How would you have felt in her shoes? Sarah felt ashamed of her behavior. I would feel as though I was a child who had done wrong, even though I had been forgiven, the feelings of shame and guilt would still linger. 4. How did Abraham respond, and what was the result? Abraham prayed and communicated with God. God healed Abimelech and his family and made them able to procreate again. 5. Why had God closed the women's wombs? God had done so to encourage Abimelech to return Sarah to Abraham. 6.a. We've seen how Sarah was restored to Abraham and even given more. Fill in the following chart to discover what God restores to His people. Psalm 51:12: God restores the joy of our salvation and grants us a willing, sustaining spirit. Isaiah 57:15-18: He revives the spirit of the lowly and revives the heart of the contrite. He will heal, guide, and comfort them. Joel 2:25-26: He will repay you for the years you had suffered and will be given plenty of food to eat, and will not be shamed. Matthew 17:11: Elijah will come and restore all things. b. What divine restoration project does God have you involved in? I'm not sure about this, other than I am available to help those who have struggled with addiction and falling away from God to bring the back to the Lord and his grace and forgiveness. c. Which Scripture offers you the most comfort and why? The affirmation given in Romans 8 that nothing can separate me from the love of God! 7.a. Sarah was rebuked by Abimelech's actions. Read Proverbs 9:8-9. What do you learn about being rebuked? Do not rebuke those who mock you, but do rebuke those who are wise, and you will be loved. b. How do you usually respond when you are rebuked? I am usually ashamed and initially defensive, but then I try to make amends and admit my wrongs. 8. We saw Abraham pray for Abimelech and his family to be restored to health. One good acronym for structured prayer is CATS. Use this acronym to pray on behalf of someone who needs restoration. Confession: Lord, I do not presume that I am worthy to come to you, as I am a sinner before you as well. Adoration: You have blessed me so much, and given me far more than I deserve! Your greatness knows no bounds! Thanksgiving: I thank you for bringing me out of the depths of sin and depression, and restoring my self-worth in your love! I thank you for giving me the opportunity to share Your grace, forgiveness, and Word with others who need to know what You can do for them! Supplication: I bring before you those who are on my heart who need you to take away their addiction and the temptation that this brings. Take it from them, Lord, and make them want to stay in a relationship with you at all times! ...we view our trials as (gloomy clouds). Instinctively we want to run from approaching shadows. But if we would look more closely through the eyes of faith, we'd see a host of angels coming with deliverance and hope. It's really true that with God every cloud has its silver lining. Some of us never see God's miraculous provision, because we're too busy trying to fulfill our needs through the arm of flesh. Did you know that the first time the term prophet is used in Scripture is when Abraham was in a season of moral failure?...In reality, there is no such thing as sinless perfection for leaders or laypersons.As Christians we aim to sin less and less. But when we fail, we can still find forgiveness....The truth is we should be looking for sin in our own hearts before doing exploratory surgery on others. Today we are reading from Genesis 20:8-13. 1.a. What did Abimelech do next? He confronted Abraham about what he had done. b. How did others respond? 2. How do you know that Abraham's deception was far reaching? His decision to deceive them frightened others, not only Abimelech. This would affect everyone in the land where he was a deceptor. It would affect Abimelech's entire kingdom. 3.a. Rephrase Abimelech's final question to Abraham. He basically asked him what he was thinking when he did such a thing as this. b. Describe how this might have made Abraham feel. It reminds me of what an adult, particularly a parent, might ask a teenager or tween when he/she has done something without much thought to the consequences. I'm sure it made him feel inferior and dumb. 4. What two excuses did Abraham give for his ploy? First he said that he wasn't sure that there was no fear of God in the land and that they would kill him to get to Sarah. He then said that they had arranged that when traveling, Sarah would always refer to herself as Abraham's sister instead of his wife since they were, indeed, half siblings. 5. How did he rationalize his deception? As I said before, he justified himself since they were indeed half-siblings. 6. a. Rephrase Abraham's instructions to Sarah. He pretty much said Do me a favor, pretend that you aren't my wife when we travel, let's just say that you're my sister instead. b. How would a request like this make you feel? I'd honestly be wondering what he was going to try to get away with that he didn't want to claim to be married to me! I would feel as though he was ashamed of me. 7. The fear of the Lord affected a king and his kingdom as Abimelech sought to right the wrong he had committed. Fill in the following chart to discover the benefits of fearing God. Psalm 111:10: fear of the Lord is the beginning of wisdom, and those who follow His teachings have good understanding. Proverbs 10:27: The fear of the Lord expands your life. Proverbs 14:26-27: The fear of the Lord builds up confidence and makes the world safe for your children. It is a spring of Living Water so that you don't drink from poisoned wells. Proverbs 22:4: If you fear the Lord, the payoff will be plenty and honor and a satifying life. 8. Abimelech was aware that his actions as a ruler of the nation would impact his nation. Explain whether you believe that this principle is true. Use examples from history or current events to make your point. I most definitely agree! I think that when the inhabitants of a nation realize that those who are supposed to be leading them are doing so in an immoral or dishonest manner, it hurts the nation as a whole. The confidence in their leader, and therefore in themselves as a nation, is diminished. They lose respect for their leader, and become more cynical. I believe that this happened when Bill Clinton lied to the American people in the Monica Lewinsky scandal. We lost faith in him and in government as a whole, and truly haven't totally recovered from it yet. It was only the start of a side of partisanship that has hurt the country as well. 9. Sarah was put in a difficult situation concerning whether to obey God or her husband. First Peter 3:1-6 sheds insight into her decision making. Read the text; then answer the following questions. a. How are women encouraged to handle disobedient husbands (vv.1-2)? We are to be an example to them by our life of holy beauty. b. Compare and contrast inner and outer beauty (vv. 3-4)? Inner beauty is being gentle, gracious, and a person in which God delights. The holy women of old were good, loyal wives in this manner. By contrast, outer beauty such as the styling of hair, jewelry, or clothing will not have such an effect on others. c. How did "holy women" reveal that they trusted God (v.5)? They did so by their gentle, gracious, and kind inner beauty, and by being good loyal wives to their husbands. d. What things did Sarah do and not do to make herself a godly woman? (v.6)? Sarah addressed Abraham as her dear husband, and took care of him. She was also unanxious and unintimidated. She did not revel in her outer beauty, but treated Abraham in a respectful manner in all her ways, as did her devotion to the Lord. The essence of lying is in deception, not in words: a lie may be told by silence, by equivocation, by the accent on a syllable, by a glance of the eye attaching a peculiar significance to a sentence. ...scientists believe decreased dopamine levels might mean certain people can't learn to do right after they've done wrong. As believers, we know why people make the same mistakes again and again: sin. The scripture for today's lesson comes from Genesis 20:1-7. 1. Look back to Genesis 17:1, 17:17, and 18:1, and recount Abraham's and Sarah's ages and place where they lived at this time. In Gen. 17:1, Abraham was 99 years old, therefore Sarah is 89 years old. They were then living between Kadesh and Bered. In Gen. 17:17, Abraham is 100 years old. Sarah is 90 years old. I believe they were still in the same location between Kadesh and Bered. In Genesis 18:1, God appeared to Abraham at the Oaks of mamre. I think that they were the same ages as in 17:17. 2. In today's text we see the transitional word And to bring us here. Describe where Abraham journeyed. How do you think the phrase,"to the South," might be interpreted in Scripture? I think that here, and is used as a 'in addition to what has been said before' type of connection. The NIV uses the connecting word 'now' instead of 'and', and this indicates that some time has passed. Abraham went South from where he had been, again to stop near Kadesh. A footnote that accompanies the Amplified Bible says that references to the south, north, east, etc. are ways that would have been familiarly used in Abraham's time. A sidenote with this study says that they might have had to have traveled south again because of famine. 3.a. What happened to Sarah? Abraham again claimed her only as his sister, not his wife. The king of Gerar then claimed her and wanted to take her to bed with him, but God intervened with him in a dream so that he did not. b. How were Sarah and Abraham complicit in allowing this to happen? They knew that this had caused trouble in the past, but did not learn from their previous mistake. c. Describe how God intervened to protect Sarah. God supernaturally withheld him from sleeping with Sarah since he did not know she was a married woman. If he had not done so, he explained that he would have been a dead man. God came to him in a dream and explained these things to him. 4. How did Abimelech explain himself to God? He defended himself by saying that he thought that Sarah was 'fair game', only Abraham's sister, not his wife. He claimed to be righteous since he didn't have all the proper information to make such a judgment against. 5. Explain why God wanted Abimelech to restore Sarah to Abraham. God had promised that Sarah would bear a great nation for Abraham. He explained to Abimelech that Abraham was a prophet in order for Abimelech to see that he was an important man with a relationship to God. 6. What would the consequences be for Abimelech and his people if he did not send Sarah back to Abraham? They would all be put to death if he did not return Sarah to Abraham. 7. God spoke to Abimelech in a dream. In the columns below list some of the ways God speaks to you. Beside each column, describe how you know it is God and not an imposter speaking to you. God can communicate to me through song, scripture, others, and sometimes through my thoughts. The way I know it is Him is that it falls within His will and will not harm me or anyone else. If it makes me feel guilty, I know it is not the Lord speaking, but the imposter. 8. Sarah again conspired with Abraham to lie about their relationship as husband and wife. You might call lying Sarah's "besetting sin." Examine your heart for a pattern of sin that keeps repeating itself in your life. Then confess it to God, and ask Him to help cleanse you of it once and for all. Father God, I know that I sometimes have the sin of putting my own selfish needs and desires over serving You and others. Please help me overcome this, Lord. I know what You desire me to do, and I always feel so much better once I do these things. Please create in me an overwhelming desire to do these things, Lord, instead of those that I have fallen into the habit and routine of doing instead. 9. In the book of Esther, King Ahasuerus asked Queen Vashti to do something against her conscience. a. Read Esther 1:10-19, and recount what happened to this queen because of her refusal to obey her husband. b. Though Queen Vashti was not a believer, she is a good example of following conscience rather than the dictates of an ungodly husband. Read Acts 5:26-32, and talk about how one might respond to authority when asked to do something that goes against God's principles. Do you think this extends to the marriage relationship? Why or why not? I believe that we answer to a higher calling and authority than that of our country. If we prayerfully ask God about whether or not something should be obeyed and feel in our heart of hearts that He says it should not, I believe we need to follow that more than the law of the land. An example: the law of the land is that I am not to say anything about Christ or His Father in my classroom. However, I feel strongly that if I am answering the question of a child, I must answer truthfully and according to my faith. I have prayed and thought seriously about this, and feel as though if I were to lose my job for NOT denying Christ and my relationship with Him, I would still be in the right in God's eyes. Whether or not this applies to the marriage relationship also must go along the lines of conscience. If the wife/husband has prayerfully sought God's counsel and believes that the given situation goes against the Lord's teachings and will for their family, then it might need to be an area of disagreement, and possibly for pastoral or other Christian counseling. Yes, the man is to be the head of the household of faith, but if he is leading the family away from the Lord, this is not to be the case, at least in my opinion and interpretation of the Word. One reason why Judaism, and Christianity which sprang from it, were so much an advance on pagan religions is that they attached comparatively little importance to dreams...As Daniel told Nebuchadnezzar, only God discloses the secrets of dreams...The message of the Bible is that God regards dreaming as a secondary mode of communication. Our heart oft-times wakes when we sleep; and God can speak to that, either by words, by Proverbs, by Signs and Similitudes, as well as if one was awake. The first step toward forgiveness is to understand why we tell lies. Mark (Meadows, a sociology professor at San Diego's Union Institute,) says, "People lie for two reasons: to protect themselves or to protect others. "....Abraham was afraid, but that didn't excuse his moral failure. It made it harder for Sarah to trust and obey him in the future. We've seen that Abraham and Sarah were partners in their pilgrimage as well as in the promises of God. For the Lord to fulfill His covenant with Abraham to make him a great nation and bless his seed, Sarah had to be included in the deal. As the saying goes, it takes two to tango. Heading in an unexpected direction caused Abraham to fear--and we know that fear is the opposite of faith. His lapse in faith put Sarah in a compromising situation. Sarah even agreed to a lie. Scripture is silent concerning how Sarah felt about the lie, but we know that God protected her while she was staying with Pharaoh. But God can turn failures into bright futures. Remember,"God causes everything to work together for the good of those who love God and are called according to his purpose for them" (Romans 8:28). Today's scripture reading comes from Genesis 12:10-20. 1. Describe what happened "now." A famine came upon the land where Abram and Sarai were living, so they journeyed to Egypt, where they could find food. 2. a. Explain what Abraham feared and how he handled it. He was afraid that he would be harmed if they knew that beautiful Sarah was his wife. So he asked her to lie and claim to be his sister. That way, he wasn't harmed, and Pharaoh took Sarah into his home. b. What does this teach you about him? He didn't fully trust God to take care of them in Egypt. He put his own concerns about his safety over the desire to tell the truth, and therefore was not forthcoming to Pharoah, and therefore not forthcoming with God. 3. a. Recount what happened to Sarah. Sarah was taken to Pharoah and lived with him in his household. b. How might this have made her feel? She might have felt that Abraham was more concerned with saving his own skin than taking care of her, even though she was supposed to be his beloved, and supposed to be one with him. 4. Contrast the lives of Abraham and Pharaoh during this season. Pharaoh was rich and lived in splendor. Abraham was living on the road in a tent, in a caravan with smelly animals. Pharaoh had others at his beck and call. When Abraham entered Egypt, he only had Sarah and Lot, and those who they had acquired earlier. Though Abraham was married to Sarah, Pharaoh was the one who got to enjoy her beauty while in Egypt. Abraham was fearful for his life, but ended up faring well during this time. Pharaoh thought he had nothing to fear, but because of Sarah, ended up losing much within his household. 5.a. Who rectified the situation? The Lord did through Pharaoh, when he cursed his household, which led Pharaoh to tell Abraham to take Sarah and leave the country. b. What lesson can you learn for your life? Things might seem to work out by telling lies and not trusting the Lord, but they would work out easier, and possibly quicker, with His plan and His help. 6. Put yourself in Sarah's place, and describe how you think this final outcome might have made her feel. Sarah had to have mixed emotions. She had to have been fearful while with Pharaoh, but at the same time, may have felt betrayed by Abraham. She would be relieved to be back in his arms and happy that he had prospered while in Egypt, but may have been sorry to leave the splendor that she enjoyed while in Egypt. 7. True faith begins where human resources end. When food ran out, so did Abraham's faith. Journal about a time when one of your necessities dried up and how it affected your faith. What did God teach you, and how did you grow from the experience? It has just now occurred to me how like Abraham's situation--and how I showed faith like Abraham--or the lack thereof to be honest, I was in the summer before I met Chris. I was employed, but the county I was working for did not pay over 12 months. They expected us to keep back enough paycheck to make it through the summer. Guess who didn't do that?? Yep, that would be me! Call me an inexperienced 20 something if you wish, but I still think that it was a ridiculous thing to propose to your employees! Nevertheless, that was the situation. Now add to this that I was being required to take classes toward becoming certified to teach a specific educational population, and that this county was offering me NOTHING in the way of assistance. Again, with my inexperience, that was probably part of the reason I didn't have anything saved for the summer, what with the cost of graduate level classes and books! So I came upon summer with NO income, no place to stay in Charlottesville while taking classes, and no real way to pay for it. I did do one thing that the Lord prompted and applied for a loan through The United Methodist Church. But there is where my sense stopped. If I had trusted the Lord and paid UVA immediately what I owed them, I feel sure that the Lord would have better provided. But instead, I took matters into my own hands and used the money that had been loaned to me to pay such necessities as rent and food instead of for the classes. Then I had no money to pay for classes! The situation worsened. I got hired in another county and had to go another month without a pay check. I just got deeper in debt, and didn't fully pay off what I owed to UVA. It took me several years to rectify the situation. If I had only trusted God, I'm sure it would have gone much better! 8. Fear and faith cannot coexist. One ultimately consumes the other. "Fear not" is a repetitive scriptural command. Place a check in the appropriate box th indicate the things that make you afraid. YES Loneliness: "Fear not, for I am with you; be not dismayed" (Isaiah 41:10). YES Weakness: "Fear not...I will help you" (Isaiah 41:14). NO Insignificance: "Fear not...I have called you by your name" (Isaiah 43:1). NO Enemies: "Be strong...do not fear nor be afraid of them" (Deuteronomy 31:6). YES Embarrassment: "Fear not; for thou shall not be ashamed" (Isaiah 54:4). NO Death: "Fear not them which kill the body, but are not able to kill the soul" (Matthew 10:28). Journal a prayer asking God to give you faith to overcome your fear. Tell Him that you will walk in faith despite your feelings. How strange, Lord, that I fear things such as being lonely or embarrassed, when I know you are with me at all times! Give me strength to face these fears, and give me your peace while I face them and more. Remind me that you are with me ALWAYS, even in these things that I fear! 9.a. We reaffirmed that "faith is being sure of what we hope for and certain of what we do not see" (Hebrews 11:1 NIV). List some of the ways you are choosing to walk by faith and not by sight. b. What scriptural promises are you holding on to, waiting to see their fulfillment? Honestly, none, because I see their fulfillment in my life each day! God has lead me through many rough times, and though on days like today when I am fighting pain and frustration, I know that He has not brought this upon me. He is giving me a way to seek Him through the pain, and to witness of His love and kindness through it all. He is laying before me EXACTLY what I need, and granting me what I need before I even have the words or forethought to ask! He is wonderful and mighty, all-knowing, and He is KING! Too late Abraham learned that it's impossible to run from your problems, because oftentimes YOU turn out to be the problem. In Canaan he was afraid of famine. In Egypt he feared foul play. One bad choice led to another--fleeing opened the way to fibbing. The beginning of anxiety is the end of faith; and the beginning of true faith is the end of anxiety. As women we graduate from one relationship to another. We transition from being a daughter to becoming a wife. With this transition, our alliances also shift from father to husband. "Daddy's Little Girl" is transformed into her spouse's "better half." While one bond breaks, another forms into the tie that binds. Jesus said,"For this reason a man shall leave his father and mother and be joined to his wife, and the two shall become one flesh'. So then, they are no longer two but one flesh. Therefore what God has joined together, let not man separate: (Matthew 19:5-6). In other words, you must stand by your man through thick and thin. We learned through (Noah's wife's) life that anonymous does not mean inconsequential. Like many unsung heroes, she happily served behind the scenes as her husband and sons became renowned. Sarah, Abraham's wife, is truly the matriarch of the faith. We'll see a complex woman who would at one moment exhibit a meek and quiet spirit and the next stand up to her husband when there was conflict in the home. As she walked through her life, she came to understand that the hand of God is more powerful than the wishes of man. The scripture for today's lesson is Genesis 12:1-9. 1.a. List all that Abraham was asked to leave behind. Abraham was asked to leave behind his country, his family, and his father's house. b. How might that have made him feel? I would think that it would make him feel uncertain, and unsure of what God wanted from him. He would definitely leave his place of security, where he understood the language and knew those around him. He may have wondered whether or not he was walking to his own death at the hand of those in another land. c. What do you imagine Sarah felt about this? I would think she might be wondering what she had gotten herself into by cleaving herself to Abraham! I'm sure this was unexpected, and she had to wonder if Abraham was going mad. Nevertheless, she followed him without argument, which shows her patience, faith, and loyalty to her marriage vows. 2. What phrase in God's instructions indicates that Abraham did not know exactly where he was going? God tells him to leave it all for a land that "I will show you." 3. a. List the blessing that would follow Abraham's leap of faith. All families will be blessed through you. b. How might this promise have influenced him? It had to be 'heady' to have this blessing made to you and to know that if he followed God's will, these things would happen! I'd say it would definitely impress upon him positively! c. What might Sarah's reactions have been? It had to make her feel good to know that these things could be done through her love! I know it had to make her happy to hear that she would have children as well. 4. List those who accompanied Abraham on this journey and what kind of supplies they might need. Abraham left with Lot, Sarah, and all the possessions and people that they had gotten in Haran. They would have needed food, animals, tents, and other supplies for them to survive on their trip to the unknown place. 5. What places were included in their journey, and where did they finally set up camp? They went through Sechem and the Oak of Moreh, Bethel, and finally set up camp between Bethel to the west and Ai to the East, and then Abraham traveled south to Negev. 6. Abraham did something twice. Underline the activity. Why do you think he did this? He built two altars, to give God praise and glory for keeping them safe and leading them thus far, as well as for the promises He had made him. He also did this to show the Lord that he was keeping up 'his part of the bargain' and honoring Him in his travels. Lord, I want to follow you, and let you be the One in charge of my life. If I am to do this, I rejoice in the troubles that I might face because they will show others how You are working in my life. I cannot do this alone, I must have You to show me the way. When I follow You, You will be revealed through me as I become the true person You desire me to be. Yes, I will lose myself, but I will gain myself in You! 8. Abraham would empty his arms only to be filled with the promises of God. So, too, as we deny all to follow the Lord, He fills our lives with great and precious promises. Read Galatians 3:26-29.
a. Who does God consider as members of His family, and how does this happen? Anyone who has been baptized in the name of the Lord. b. What divisions has Christ abolished? God has abolished all divisions such as Jew or non-Jew, slave or free, or male or female. c. What additional benefit does the believer experience in Christ? We are all descendants of Abraham, and are heirs in his covenant promises! 9. This season in Abraham's life consisted of tents and altars. The tent was where he spent time with people, and the altar where he communed with God. In the columns below, list the places you lived and places you have worshipped. Then write about one memorable encounter you had in each of these places. Buffalo Mountain Camp: started learning about how BIG God is! Trinity, Big Stone Gap: learned about love of friendship--and had my first kiss! Abraham might have been a baseball player who knew that you can't get to second base if you keep your foot on first. He willingly left his home and went where God told him. His beautiful wife Sarah left everything to go with him. There were some hits and misses on the journey, but God considered their pilgrimage a home run. Let your home be your parish, your little brood your congregation, your living room a sanctuary, and your knee a sacred altar. When God entered into a covenant relationship with Noah, his wife, their sons, and their wives, He promised to give the family protection from the coming flood. Thus, we see God's character in providing a godly remnant of committed followers...God is more than willing to give each of us a new beginning. Don't wait for a flood of judgment or a vast calamity in order to cry out for God's help. Today's scripture focus is Genesis 7:1-7. 1. What instruction did God give Noah and his household and why? He instructed Noah and his family to board the ship. 2. What was Noah told to do with the animals and why? Noah was instructed to take 7 pairs of every clean animal, one pair of every unclean animal, and seven pairs of every kind of bird to ensure their survival on the earth. 3.a. After how many days would the rain begin? The rain would start in 7 days. b. Why do you think God chose to wait? I think He did this not only to give Noah and his family time to board and get settled on the boat, but also to give those who could observe the ark to turn from their sinful ways. 4. Describe what would happen as a result of the floodwaters. God said that He would destroy the earth and make a clean slate of everything He had created. It would rain for 40 days and 40 nights. 5. What do you learn about Noah in this passage? Noah follows God's commands even when he might think they don't make much sense! 6. What do you learn about Noah's wife in this passage? She trusted her husband's judgment and his understanding of what the Lord has instructed Him to do! 7. Noah and his family were invited to come into the ark for safety. Read the following verses, and describe some of the blessings of answering the invitation to "come." Talk about whether you have personally experienced these blessings. Matthew 11:28: God will give us real rest when we are tired, burned out, and fed up. He will help us recharge and recover our life. YES I've experienced this promise from God! Matthew 16:24: If we want to come with Jesus, we must let Him be the leader. We must give Him the change to lead and follow Him. If we embrace the chance to suffer for him, He will show us our true selves. YES, I've experienced this as well...and forget to do it too often! Matthew 25:34-36:The Lord has prepared His kingdom for us because we have cared for Jesus when we cared for others in need. Revelation 22:17:Jesus tells us to come, all who hear and thirst, who are hungry, who have needs. YES, I have answered this call and felt this blessing! 8. We know God instructed Noah to bring clean animals on the ark, looking toward the time he would make sacrificial offerings. We can make an offering of prayer. With this in mind, rewrite Psalm 51:10-11 into a personal prayer asking God to cleanse you of sin. Lord, please cleanse me of my sins and keep them far from me. Please forgive me, and stay with me even though I have sinned against you! Know that I am contrite and sorry, and stay with me through Your Spirit! 9.a. There is no record of Mrs. Noah's response to Noah's encounters with God or the journey to new life on the ark. Try to put yourself in her place. How do you think she might have felt as her husband spent 120 years building a boat based on instructions from God? Part of her HAD to wonder if he'd lost his mind! But she was committed to him, and she has to be commended for that. While everyone around her must be whispering or laughing aloud at Noah, she stuck by him through it all! It had to have made her a bit nervous and anxious at times. b. How do you suppose the world treated her family during this time? Like I said above, they probably laughed and thought Noah had totally lost it, or at the very least whispered behind their backs. They had to wonder about Mrs. Noah's sanity for sticking beside him, too. c. What do you think she might have thought, felt, or done as she sat on the boat with her family seven extra days, waiting for the rain to come? I can imagine her wondering if the rain really was going to come, and praying to the Lord to calm her fears and wonderings. She had to feel at least a bit angry and resentful because I'm sure the animals were starting to smell and be noisy! d. What feelings might she have endured as she watched the floods devastate the world she knew? I would think it would have brought on mixed emotions. She probably felt relieved that what her husband had said was going to happen was taking place, so he hadn't totally lost his mind! But it had to sadden her that it had come to this. She was watching the devastation of her home and the death of everyone she had known except for her immediate family. Other than growing up in a parsonage, I don't think I've had to deal with things such as this. As I grow older and see the wisdom that my husband possesses for education, I wonder if he is going to start to have a wanderlust to lead elsewhere. If he does, I will follow him, because I know it will be through God's leading. I also know that it was not his original intention to feel such, so that gives me another indication that it might be of the Lord. If so, I will gladly go with him, though it would mean leaving my home and loved ones, because it would be following God's plan and also going with my best friend! Though we don't know her name, we do know the person (Mrs. Noah)...She was a woman of faith who was saved from judgment. She steadfastly continued the work God gave her. She was probably kind. After all, her sons and daughters-in-law consented to being cooped up in the ark with her. She must have been a hard worker. Think about caring for all of those animals! And she must have been humble. She didn't say,"Make sure you spell my name right when you put this in the Bible." Though we don't know her name, Jesus may have had Noah's wife in mind when he said,"Blessed are the meek, for they shall inherit the earth" (Matthew 5:5). Meek endurance and meek obedience, the acceptance of his dealings, of whatever complexion they are and however they may tear and desolate our hearts, without murmuring, without sulking, without rebellion or resistance, is the deepest conception of the meekness which Christ pronounced blessed. That God saves some while submerging others demonstrates His ability to balance judgment with mercy...Noah, therefore, foreshadowed another judgment that will come upon the whole earth. This reckoning will be introduced at the return of Jesus Christ. At that time He will rescue believers from a planet that is once again utterly corrupt. However, instead of water, fire will consume the ungodly. Today's scripture reading is Genesis 6:17-22. 1. Explain how God would judge the earth. Circle the words that describe the full extent of this destruction. God declared that he would bring floodwaters on the earth, to destroy from under heaven all flesh...everything that is on the earth shall die. 2. By contrast, what were God's plans for Noah? Who else was included? God made a covenant with Noah to go into the ark with his sons, his wife and his sons' wives. 2 of every sort of all living things should go with them into the ark--a male and a female of each animal. 3. Underline the word kind in the passage, and then list the kind of creatures that would also inhabit the ark. All the birds of their kind, animals of their kind, and every creeping things of its kind, two of every kind should come into the ark. 4.a. How would Noah gather the animals? The passage says that Noah should gather them. A sidenote in the study says that possibly God made all the animal pairs aware of when they needed to gather to make this easier. b. What was his responsibility to them? Noah was to keep them alive. 5. Besides building the ark, what further task was Noah assigned to ensure survival? Noah was also to gather the food that he would need for the people and animals--of all food that is eaten. 6. If you were God, what kind of report card would you give Noah regarding his assignment and why? I'd give him an A+ because he put forth his best effort to follow directions and do as God instructed! 7. God made a covenant with Noah and his sons. He also made a covenant with those who believe in His Son. Read Hebrews 9:13-28.
a. Contrast the blood of goats and calves with the precious blood of Christ (verses 13-14 and verses 19-28). The goats and calves are sprinkled on those who are ceremonially unclean to sanctify them so they are outwardly clean. In contrast, Christ was sacrificed once and for all to take away the sins of many and will come again not as a sacrifice, but to bring salvation to those who are waiting for him. b. Who are included in the new covenant and by what means (verse 15)? Those that are called may receive the promised eternal inheritance. c. Describe what must occur for a testament to be "in force" (verses 16-18)? If a will is in force, it can not take place while the person is living. 8. God caused the animals to cooperate with Noah as they gathered to the ark. Has God ever helped you do the impossible? Journal about a task He gave you to do and how He assisted in its fulfillment. When I was working in a different job, I had to go for 2 weeks to Charlottesville for training. I was literally making NO money, so not only did I not have money to pay for the classes, I had no money to pay for housing and food. With God's help, I found someone to stay with by contacting a local Methodist church. It worked out beautifully! 9. We discovered that one of Noah's defining traits was complete obedience. Using the word OBEY as an acrostic, list some of the ways God is aking you to obey Him. Just as Noah was a preacher of righteousness in his generation, we must evangelize the people of our time. Of course this is done through the way we live as well as the words we say....It's very likely that the only thing that comforted Noah as he witnessed his friends and neighbors drowning was the assurance that he had done everything he could to rescue them. Faith and obedience are bound up in the same bundle. He that obeys God, trusts God; and he that trusts God, obeys God. In truth, a home should be a haven from the world around us. It's the place where we feel safe from pressures clamoring on the outside. Inside its four walls, we find acceptance from the people whose opinions truly matter. When our hearts are overwhelmed, like Dorothy, we may also lament,"There's no place like home. "...Whether you live in a single story, a duplex, or a trilevel ark, it's not the house that makes a home. It's the people who dwell in it. You have to admire Mrs. Noah for going along for the ride. We'll discover that the ark would be shaped in a way that was perfectly suited for floating rather than sailing. This is a beautiful illustration of God's sovereignty....Imagine the kind of trust that Noah and his family must have had as they climbed aboard and realized that there was no navigational system. But isn't that similar to our journey of faith? God wants us to sit back and allow Him to route our course. Today's scripture is Genesis 6:11-16. 1. Underline the word earth in today's text, and describe the earth's condition in Noah's time. The earth was filled with violence. It was corrupt. 2. Circle all the references to God in the text. How did God respond to the earth's condition? God decided to destroy the earth, except for Noah and his family. 3. Reread the text, and explain how the earth had become corrupted. It was filled with violence and corrupt because the persons who inhabited it were corrupt. The earth was also filled with violence through them. 4. Who did God include in His plans? Look back to yesterday's lesson, and explain why he was included. God included Noah in His plans, because he was just and righteous, and walked with God. 5. Describe the means of deliverance from the coming destruction and who was intended to use it. Noah was to build an ark for himself--no one else was included in these particular verses. God gave Noah specific measurements and directions for how to build this ark. 6. Highlight the word make in the text; then describe the details of the vessels construction. God told Noah to make himself an ark of gopherwood with rooms in it. He explained exactly how to make it: the length should be 300 cubits and width 50 cubits, and height 30 cubits. He instructed Noah to make a window for the ark, and a door in its side. He should also make it with lower, second, and third decks. 7. What do you learn about God from Genesis 6:11-16, and why is this important for us now? Though God was very disappointed with how humanity had turned out, He did not give up on us completely. He provided a way out for this creation of His, and described exactly how it could be redeemed. Because Noah followed God's instructions to the letter, we as a species were saved, as were each animal of the earth, sea, and sky. 8. The people in Noah's day were violent and corrupt. List some ways people today behave in the same ways. People today are violent and are also not obeying God's laws. They are sexually immoral, their business practices are corrupt, and they care about no one but themselves. 9. According to Hebrews 11:7, Noah had a plan of salvation for his household. With this in mind, write about some ways you can lead your family to the Lord. I can seek, listen to, and heed God's instructions in order to raise my family up in His ways. 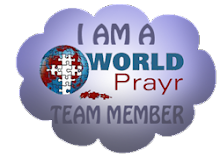 I can be in this world but not of it, and can prayerfully instruct my family in this manner of living as well. Rather than being women who point a finger at the corruption, let's offer the only solution to the problem. We can point the way to the cross. Just as Noah was known as a "preacher of righteousness" (2 Peter 2:5), be known as one who spends her time loving the unlovely, sharing the gospel, and "redeeming the time, because the days are evil" (Ephesians 5:16). We have a real problem in this country when it comes to values. We have become the kind of society that civilized countries used to send missionaries to. This is a scary thought! Today's scripture is from Genesis 6:5-10. 1. Describe what the Lord saw. He saw humans who were only involved in wickedness and evil instead of being in a relationship with Him. Noah, however, was the exception! 2. How did the Lord feel about this? He regretted creating humankind, and it hurt His heart that humans were so evil. 3. What did He decide to do about this and why? He decided to destroy man and all the animals on earth, sea, and air, for he was sorry that he had made them. 4. Who caught the Lord's attention and why? Noah caught the Lord's attention, because he was a just man who walked with God. He was 'perfect in his generations'--those who came after him were also righteous. 5.a. What four phrases describe Noah's character? b. Which of these phrases would you most like to describe you? Why? I would most like people to describe me as walking with the Lord. If they did, this would mean that it was evident in the way that I live my life that I am a follower of Christ. 6. List Noah's sons. If you know the story of Noah and the flood, explain why they become important later. Noah's sons were Shem, Ham, and Japeth. They would be responsible for repopulating the earth after the flood. 7. God's description of humanity's depravity is devastating. Read 1 Timothy 1:8-10 to discover some of the sins that antediluvians (people living before the flood) were engaged in. Using the word EVIL as an acronym, list some of the ways you see people sinning today. E: Excess, not Exercising restraint, lack of Empathy, Eating too much, Extending themselves beyond their means, Extolling themselves as their own gods. 8. We've discovered that our sin caused God to grieve. Use Ephesians 4:29-31 as a template to write a personal prayer asking God to forgive you for the ways you have brought Him sorrow. Lord, I'm so sorry for gossiping and not using my mouth and words only to lift others up, especially those I love and that I am charged to be a role model for. I have done this far too many times. I have been blessed by you in more ways than I can even recall, and I too often take you for granted. I have denied my need to spend time in Your word. I've put other things before spending time with You. I've used ugly speech, including cursing, more times than I should. In fact, I NEVER should! Please forgive me for this, Lord, and I desire your help to change my ways. Help me to not judge others and look down upon them. Help me to treat others with the grace and the unconditional love that You have shown me--over and over and over. ...He gave me chances over and over, especially when I made poor choices. He forgave me before I even asked! ...even when I was mad at Him and upset for Him 'letting' me be treated badly when I had made poor choices, but my faith in Him stood strong, and He led me to forgiveness. ...I loved people despite their poor treatment of me. People take notice of the gifts that He has bestowed upon me with which I can serve Him! One person's negativity can influence the atmosphere...sin is highly contagious. Evil is the real problem in the hearts and minds of men. It is not a problem of physics but of ethics. It is easier to denature plutonium than to denature the evil spirit of man. Mrs. Noah is mentioned 5 times in Genesis. She had to have been a righteous woman to have entered the ark. We can safely assume that she was also a godly mother and mentor. Girls were behaving badly as they crossbred with men of suspicious backgrounds. As humanity spiraled out of control, God was compelled to intervene....While the rest of society was raunchy, they were righteous....Imagine how difficult it must have been for Mr. and Mrs. Noah to raise their children in a society bent on sin...We can learn much from their example as we teach our children to be in this world but not of it. Today's Bible reading is Genesis 6:1-4. 1. The word now places us at a point in time. Read Genesis 5:30-32, and describe when this story takes place. Noah was born when his father Lamech was 182 years old. By the time he was 500 years old he had three sons: Shem, Ham, and Japeth. The Message interpretation adds that Lamech said that having Noah would give them a break from the hard work of farming the ground that God cursed. 2.a. What does the text say about "the sons of God"? It says that "the sons of God" saw that the daughters of men were beautiful, and took them as wives. b. What is your reaction to this account of "the sons of God" and "the daughters of men"? This is a bit confusing to me. Were these people that God created in addition to the original creation of Adam and Eve? Where did they come from? Were they created in sin when Adam and Eve had to leave the Garden? According to some commentary, (both in my devotion book and in what I'm looking up online) says that angels, possibly fallen angels, marrying human women. From these marriages could have come the giants to which are referred. Another interpretation is simply that godly men joined in an unequally yoked marriage with ungodly women. This intrigues me, and is something I'm going to look into further! 3. What did the Lord decree and why? The Lord decreed that men/people would not continue to live forever. He would limit their life span to 120 years. As to why--thanks again to the side notes, God was going to strive with, as opposed to judge, men for 120 years. That would give Noah time to build the ark and for sinners to repent before the flood. 4. Describe the giants--what they were like and how they came into being. The giants were there around the same time and after the sons of God and daughters of men married. The humans saw them as men of renown, though they were not of God. 5. Read Numbers 13:32-33, and describe the inhabitants of the land of Canaan many centuries later. The inhabitants were described as giants who made them look like grasshoppers. They were huge! 6. What does the presence of these "giants" tell you about the world in which Noah and his wife lived? They certainly weren't the only people around, and seemed to be different in that they were living a righteous life instead of a sinful one. This refutes the thought that I have always had that the world was populated a little bit at a time strictly through the lineage of Adam and Eve. This speaks more like other people were also around, but their specific stories weren't told. However, reading some of the commentary online, it also could be that these were the offspring of different persons mentioned thus far in the Bible, too. 7.a. We've looked back as far as Noah's father and sons. Let's climb a little higher in his family tree. Read Genesis 5:21-29. What repeated phrase describes Enoch's (Noah's great-grandfather) unusual departure? b. What record does Methuselah (Noah's grandfather) hold, and how old was Methuselah when he died? Methuselah was one of the oldest, if not the oldest, mentioned man in the Bible. He was 969 years old when he died. c. Why did Lamech (Noah's father) give Noah his name? He named him Noah, meaning this one will give us a break from farming the ground God cursed according to The Message. In the NIV, it says that "He will comfort us in the labor and painful toil of our hands caused by the ground the LORD has cursed." a. Describe a situation in which you argued with God. That's 'easy' to answer--the first thing that comes to mind is when the Lord was telling me to step back from assisting with the youth. I didn't want to do so, for several reasons: I knew Brenda and Dale needed the help and that they would want us to continue working with them, I felt guilty for stepping back, and didn't know who would pick up the slack. God kept telling me, though. I was unhappy working with them. It was a burden instead of a joy. I wasn't giving them what they needed because it wasn't my niche at that point in my life. It took me quite some time to vocalize this, however. God kept at me until I did! b. How did the argument end? God won out! He kept at me until I saw that His way was the only way I was going to get any peace. The peace that He gives is far better than anything I could say as to why my way was better! c. What did I learn? God isn't going to give up. He's going to keep at me until I do what He knows I need to do. Sometimes He needs us to trust Him enough to let go, even though all our human senses say it is the wrong thing to do, or even though it is difficult. 9. Today we've seen various theories regarding the giants. The fact is that all of us face giants of one sort or another. Journal a prayer asking God to help you conquer any "giant" that you face. I've faced giants for years now, with Your help. Whether it be depression, anxiety, or the most recent 'heading' of fibromyalgia, I know that You are bigger than anything that satan can throw at this earthly body. If I trust in You and listen to the cues you give me, I know I will walk through any fire that comes my way. I am so blessed by you every day, Lord, in all my abilities and gifts that you've given me. Thank you especially today for my wonderful husband and our sons. You are so good to me!! As you observe our society, it's logical to assume that God will not strive with us much longer. We will all face a day of reckoning. The Bible has thrown you a lifeline--take hold of it before it's too late. If God doesn't judge America for its immorality, then He owes Sodom and Gomorrah an apology. Partaking of forbidden fruit not only changes us, but it also leads to a change of location. Prodigals inevitably find themselves leaving Eden behind. Had Adam and Eve refused to eat of the Tree of Knowledge of Good and Evil, they would have remained unrobed and unembarrassed. But once their eyes were opened, they saw themselves differently--what once appeared normal was now perceived as naughty....Honestly, none of us has any reason to be proud of our wardrobe even if it's full of designer labels. Instead, our clothing can serve as a reminder of sin and a warning to avoid disobeying God's commands. Scripture reading today was from Genesis 3:20-24. 1. What do you learn about the first couple's relationship based on the name Adam gave his wife? It tells me that he held her up in high esteem as the mother of all living. 2. What clothing did God provide for the couple, and how does this compare to the clothing they chose? God provided clothing made from animal hides. Adam and Eve chose plants to cover themselves. This represents that in their sin, the couple harmed other living creatures as well as themselves. When Adam and Eve chose clothing, they did so in a way that would not be permanently damaging to anything living. 3. God used the pronoun "Us" to refer to Himself. What does this tell you about His character? This, I'm not sure about! Is He referring to the angels in Heaven? Who made up the angels, if they were not humans who had passed on to that realm? Did he create angels before Adam and Eve to keep himself company? I'm gonna have to look up commentary on this! I read a sidenote in the Bible study that answers my question! It says that it points to the Trinity. Though the Trinity is not explicitly stated in the Old Testament, it is implied. 4. Which aspect of the curse did God repeat and why? He repeated the part about Adam working to till the earth from whence he came. I assume that He repeated this to again restate the change that had to take place...that Adam would no longer get his food without hard work. 5. How did God ensure that the first couple would never be able to eat from the Tree of Life? He banished them from the Garden, and set cherubim as guards east of Eden. He also placed a flaming sword that turned in all directions so that they might not be able to reach the Tree. 6. Why do you think God prevented the first couple from partaking of the Tree of Life? It was the major part of their punishment. Before they sinned, they would have been able to live forever in communion with the Lord. But when they ate of the Tree of Life, they were cursed to die. If they were still able to eat the fruit, they would be able to live forever, and this was not to be so. 7. We've seen that Adam's wife was known by three different names, the last of which was Eve. List some of the names or nicknames that you have been given. Who gave them to you and what do they mean? Chris: what my family shortened my name even further to--as did close friends before I married a Chris! Mouse: a boyfriend of Suzy's called me this, after he saw me in my Chris Mouse pajamas. Then I called myself that in 5th grade just as a nickname, too! PK: short for Preacher's Kid. The Williams brothers called me that when we lived in Big Stone Gap, and then again when we reconnected at Emory & Henry. In fact, they've referred to me as PK on Facebook recently! Big Stone: a fella in high school called me that after I said that I thought that he was someone calling from Big Stone on the phone one time! Gidget: Kevin Stone called me that....I don't really remember why! Barney: Mike Stansbury called me this in Concert Choir...again, I don't remember exactly why! Diti: Brenda and Suzy's children called me this before they could pronounce Christi. Ked actually was the first one! Maria still calls me Diti sometimes! Mrs. Stapleton: my 'school name', given to me by students. Mommy: given to me by my sons when I gave birth to them. 8. The couple literally clothed themselves in fig leaves, while God dressed them in tunics of skin, offering the first blood sacrifice. Paul uses the analogy of "putting on" clothing to show that we can wear spiritual attributes much as we would wear beautiful garments. Below, list some of your favorite attire and how it makes you feel physically; then read Colossians 3:12, and list the characteristics you'd like to wear spiritually. 9. God sent Adam and Eve out of the garden of Eden, and an angel prevented them from ever returning. Journal about a time you had to leave someplace. How did it make you feel? Where did you go? As a PK, I had to leave several places! The hardest was leaving Big Stone Gap. I as well established, had friends and a 'position', and was comfortable in my little cocoon. Moving to Rossville felt very naked and exposed in a way. But I realized after struggles that God was with me and would make me feel comfortable and loved no matter where I was. He gave me my loving family to be with me and care about me no matter where I lived. Because God is omniscient, He was completely aware that there was something wrong in the Garden of Eden. You might say that when God sought the disobedient couple in the garden, He was prepared to hold a trial....First, he pursued him as an officer of the court to bring them to justice. Next, He questioned the about their behavior as a prosecuting attorney would do. Now we'll see Him address them and Satan, their co-defendant, as the divine Judge, pronouncing His sentence on them. As the One who created all three of the defendants, God had every right to judge them. 1. Describe how God cursed the Serpent physically. He told the snake that it would always be on its belly, and it would eat the dust of the earth. He also said that it would be cursed beyond all cattle and more than any beast of the field. 2.a. How did He curse the Serpent spiritually? There would be war between the woman and the snake, and between the offspring of the serpent and the woman. b. How do you think this speaks prophetically of Satan's battle with Jesus? Jesus and Satan always battle against each other, for generations. They battle over the souls of people. 3.a. Next God pronounced His judgment on the woman. How did He punish her concerning childbirth? He told her that her pain during childbirth would be multiplied. b. What did He pronounce concerning her marriage? He decreed that she will want to please her husband and that he would always lord that desire over her. 4.a. God next turned His attention to Adam. Explain why He pronounced a judgment on Adam. He judged Adam because he listened to his wife and ate from the tree that he was commanded not to eat from. b. How did God judge Adam concerning his work? He told Adam that the very ground would be cursed because of him, and that getting food from the ground would be as painful to him as childbirth would be to Eve. He told Adam that he would have to work in pain his entire life, fighting against thorns and weeds that the ground sprouted to get food from the earth. c. What would the ultimate punishment be for eating from the tree? That he would return to the ground, dead and buried, and eventually turn into dust, just as he started life. 5.a. What key phrase did God use to remind Adam of his status as a created being? He told Adam that out of dust he was created and to dust he would return. b. How would this make you feel if God talked to you in this manner? It would make me feel about as low as the dust to which He is referring! 6.a. God put enmity between the seed of the woman (Christ) and Satan. Read Galatians 3:16. What is one interpretation of who the seed represents? According to this verse, it is seed singular, referring to Christ, instead of seeds plural, referring to many people. b. Based on what you know of history and Scripture, how did Satan "bruise" the heel of the seed of the woman? Satan brought sin into the world, which led, ultimately, to the crucifixion of Christ...where his feet were nailed to the cross. c. Paul says, "Remember that Jesus Christ, of the seed of David, was raised from the dead" (2 Timothy 2:8). How do you think this fulfills the prophecy of the seed of woman (Eve) bruising or crushing Satan's head? Satan could no longer hurt people, for Christ died for our sins and was resurrected from the dead! 7. God's punishment for Eve's disobedience was that there would be pain in childbearing and implied pain in child rearing. 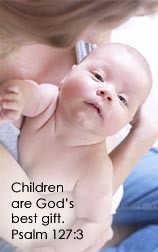 Yet Scripture considers motherhood a high calling. a. Read the following passages and draw a line to connect them with how mothers are to be treated. b. Talk about how you've either experienced some of the pain involved in being a mom, or how you have treated your mom. Amazingly, I remember more of the pain I've caused my mom---and still feel bad for it---than she seems to remember or keep account of. Isn't that how unconditional love is, though? I caused her much pain and worry when I ran away, when I attempted to take my own life, when I was skipping school...when I lied to her, when I behaved in ways that I knew she would not approve, when I did not greet her with the respect and regard that she deserved. Just the other day, she was commenting that she was glad that my sisters and I didn't 'lose our minds' temporarily and do increasingly foolish things. While I think how I must have added grey hair to her head, she looks upon me as a blessing. SHE is a true blessing to me, and I have learned a great deal from her! I will gladly care for her in her old age! Warren Wiersbe said,"This submission isn't identified as a part of a curse or as a mandate for husbands to have sovereign power over their wives. The New Testament makes it clear that husbands and wives who love each other and are filled with the Spirit will be mutually submissive (Ephesians 5:18ff; 1 Corinthians 7:1-7). God reestablished relational order not to put women down but to promote harmony in the home. Don't be deceived when the world tells you submission is slavery--you are showing the world a picture of salvation through Christ: "Just as the church is subject to Christ, so let the wives be to their own husbands in everything" (Ephesians 5:24). At this point the first couple knew only good, not evil. But after one bite, they became intimately acquainted with evil. If Satan had said,"For God knows that when you eat of it...you will be like me, knowing good and evil," he would have been telling the whole truth. Too late they became aware that God's word was good and that the Serpents word was evil; they saw the goodness of God's image deformed by the wickedness of sin; and they felt the closeness of God's presence replace with a fearful sense of dread. Sadly, there are some things that once done can never be undone. Thankfully, God still pursues people by name, calling out,"Where are you?" Today's lesson is based upon Genesis 3:7-13. 1.a. Based on their actions, what type of insight did Adam and Eve develop? They realized that they were naked. b. How do you think this experience differed from Satan's promise in verse 5? Satan didn't describe this action as having any negative connotations. He didn't describe such things as guilt that they would experience. They found out that knowing good and evil comes with good and bad consequences. 2. What did Adam and Eve hear, and how did they respond to the source of this sound? They heard God in the garden, and became afraid--knowing what they had done--and hid. Why did Adam and Eve hide from God? Most commentators agree that sin develops guilt, and guilt leads to fear. For the first time in their lives they were afraid of God. In a futile attempt they sought to hide from an all-knowing God. Fellowship was broken. Communion was replaced with confusion. 3. How did God respond to Adam's absence? What does this tell you about His character? God came looking for Adam and called for him. This tells me that even if I don't come to Him, He is going to actively seek me! 4.a. Describe Adam's emotional state. Adam is afraid! He knows what he has done is wrong, so he feels guilty. He might even feel angry at Eve for giving him the fruit. He is afraid of what God will do/say, too. b. Why do you think he felt this way? He knows he went against God's command, and that this was wrong. 5. Underline the word naked, which is repeated three times in this text. Define what you think it means in this story. It means literal nakedness in the physical form, but it can also mean laid bare with all our weaknesses and sins exposed. 6.a. Who did Adam blame, and who did Eve blame? Adam blamed Eve. Eve blamed the serpent. b. Explain their reasons for blaming someone else. Like all of us, they didn't want to be responsible for their own sinful behavior. 7. What do you think motivates us as humans to become blame shifters? How do you think we could break this pattern? We want the attention to be off us, and want to have someone else to be responsible for what we do. It doesn't feel 'good' to take the blame. With practice and God's help, we can humble ourselves and say that yes, we are wrong. Now the works of the flesh are evident, which are: adultery, fornication, uncleanness, lewdness, idolatry, sorcery, hatred, contentions, jealousies, outbursts of wrath, selfish ambitions, dissensions, heresies, envy, murders, drunkenness, revelries...But the fruit of the Spirit is love, joy, peace, longsuffering, kindness, goodness, faithfulness, gentleness, self-control. Against such there is no law. Galatians 5:19-23. Love conquers hatred, joy conquers outbursts of wrath, kindness conquers dissensions, goodness conquers jealousies, faithfulness conquers adultery, gentleness conquers murders, self-control conquers fornication, lewdness, uncleanness, drunkenness, and revelries. 9. We've seen the downward spiral Adam's and Eve's sin caused: They were afraid, they became ashamed, and they hid themselves. Use these three sentences to describe a time you fell into the same downward cycle. I was discovered somewhere that I wasn't sure I should be. Others knew I was where I wasn't comfortable being alone. Covering up my cleavage, which made it look like I had nothing on, and made it worse. 10.a. We know that the first couple tried to shift the blame for their sin. Adam accused Eve, and Eve blamed the Serpent. Psalm 51 records David's confession of sin with Bathsheba after being rebuked by the prophet Nathan. Read the psalm, and describe the view of God that David expresses. David views God as forgiving even though He doesn't have to be. b. What does David request? to be washed clean of his sin and be able to start anew. c. Ultimately who has he sinned against? d. What does God require of the sinner? He requires confession and a change in behavior, and a desire to improve and walk with Him. e. If there's something you've been trying to hide or shift the blame about, confess it to God right now an experience the relief felt by King David and others through the ages. Silence, O sinner, stop! Accuse not Eve and Adam. Without that incident, its you who would have done it.